This looks so refreshing right now! I just walked to work and it’s already 80 degrees and like 100% humidity. I’ve become addicted to drinks made with watermelon. 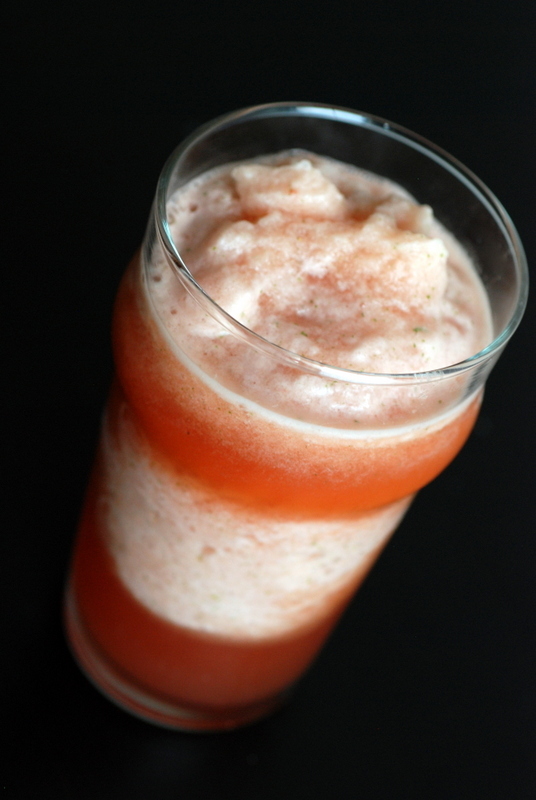 My all time favorite is a Blendtec recipe: 3.5 cups watemelon, 1 cup raspberries, 3 lemons, 1/3 cup agave or sugar, 2 cups ice cubes. Blend together. It’s liquid sunshine. I smile with every sip. Going to have it for a light dinner tonight before yoga, with rasoted brussel sprouts in a Thai chili sauce. This looks AMAZING! Gotta try it! I want a big glass of this for after my long run tomorrow! 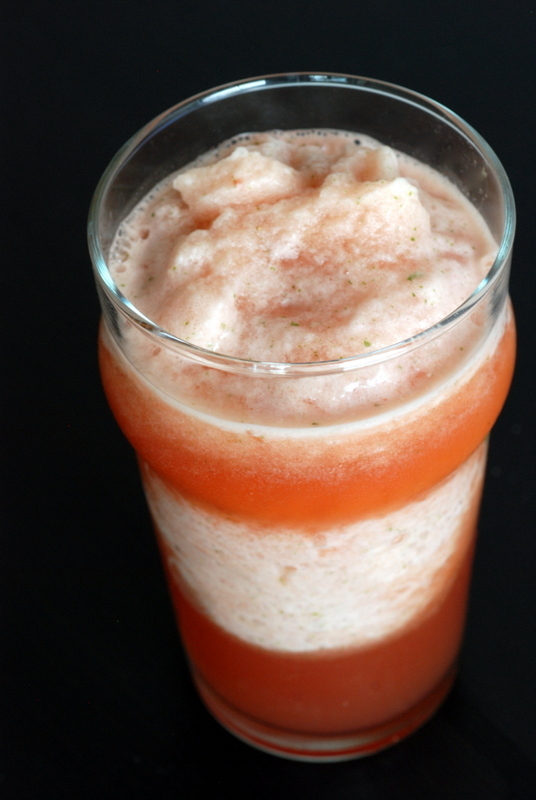 I tried to freeze watermelon and then use it in a whole juice—not good. 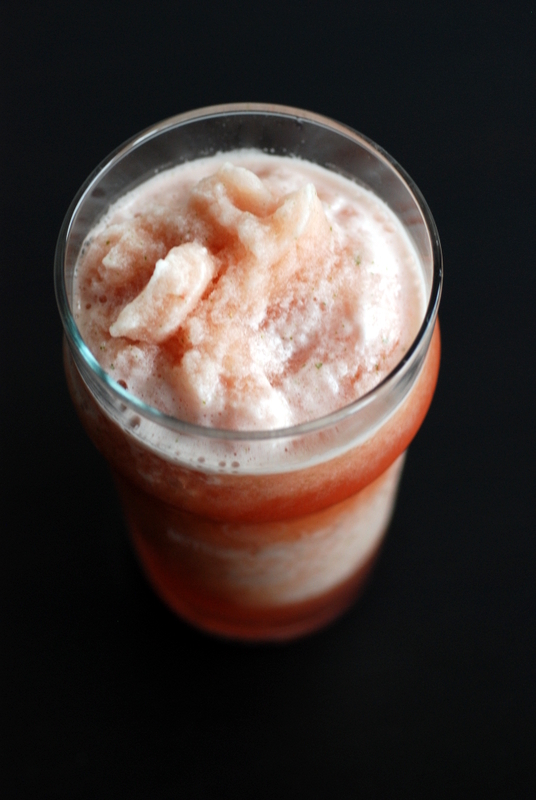 I thought the BlendTec was very powerful, but it balked at big pieces of frozen watermelon. Finally I gave up on the juice and had a watermelon slushie! Any advice for dealing with frozen watermelon? I needed to add the water to make it more drinkable. Perhaps the vitamix warms it up more? I would add water. Or use ice and fresh watermelon. My watermelon cubes were around 2cm, but not sure if that would male a difference.